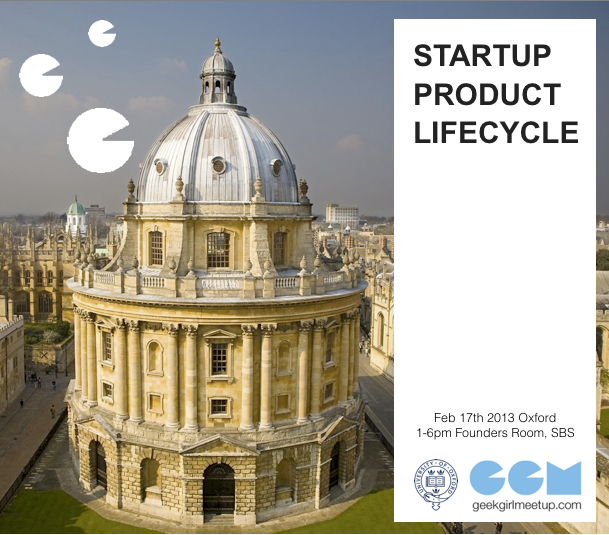 Geek Girl Meetup is holding its first ever University showcase un-conference at Oxford University on February 17th, between 13.00 and 18.00 at the Founders Room in the Said Business School. The afternoon will revolve around empowering more female students that are interested in technology and entrepreneurship. There will be 8 distinguished female entrepreneurs and technologists that will speak about what it is like to found a company, and go through a product lifecycle (idea, concept, design, development, marketing, financing, and growth). There will also be discussions allowing every participant to share their knowledge with others and ask questions. Geek Girl Meetup’s goal is to create new networks and elevate female role models in the tech industry. Dawn Draisey, founder at Viewed Media. Janna Bastow, Head of Product at BraveNewTalent, the founder and a hacker behind prodPad, and the co-founder of European Product Group, the folks behind MindTheProduct.com,ProductTank, and ProductCamp London. Her blog is SimplyBastow. Cecile Baird, brough Product Design Guild from Silicon Valley to London and founder of Boomlands. Robyn Exton, founder at Dattch. If you are interested in speaking at this event or have any other questions, please contact the Program Manager, Vanessa, at vanessa.butz@new.ox.ac.uk. This entry was posted in Female Rolemodels, Tachnology, Uncategorized and tagged female role models, geekgirlmeetup, ICT, oxford, uk, united kingdom. Bookmark the permalink.